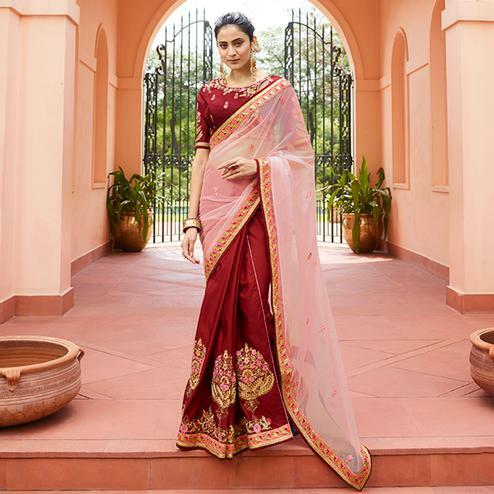 Be dazzle the crowd wearing this red designer saree. It has been beautifully designed with pure bandhej lace & patch work of thread work motif crafted with mirror & diamond work. As Shown it is available with a banglori silk fabric designer blouse piece. 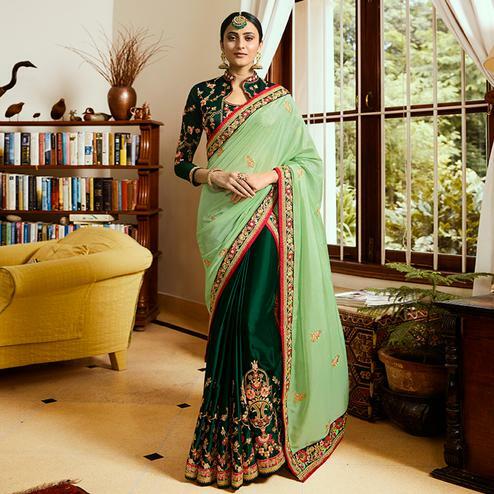 This saree is best for occasions like wedding & receptions where you want to be the centre of attraction.